get there and move around the country and the most outstanding data to guide and have a good time. 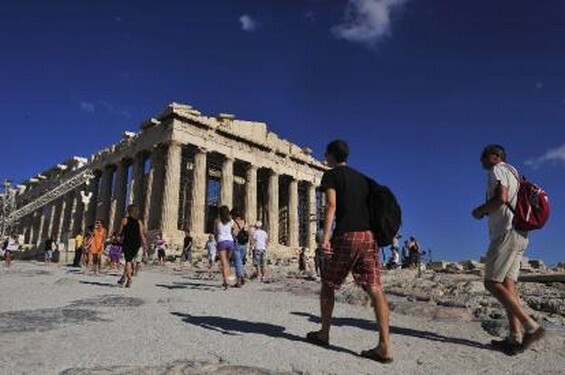 Visit Athens nightlife in rembetika (a club) and dinner at one of the restaurants there at the foot of the Acropolis. You can enjoy excellent beaches with few tourists, go to the islands of Lipsi and Tilos, close to Asia Minor. Get on the back of a donkey and travels Hydra, the island of intellectuals. It is a very quiet place where the use of cars and the fastest transport is banned include bicycles and donkeys. To complete the adventure, you have to stay in the Bratxera the nicest hotel on the island. Bathe in a hidden, between cliffs on the island of Zakyntnos, so far only be reached by boat beach. If you get tired of standing parties Mykonos, Santorini and go to visit the Minoan ruins at Akrotiri and the village of Oia built on volcanic soil. Imprecindible is the visit to the National Archaeological Museum and the Acropolis Museum. 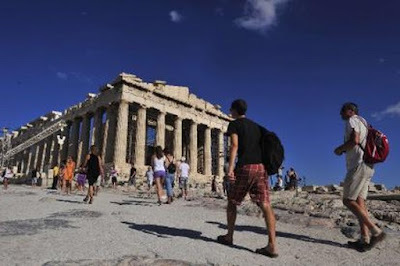 Greece is an interesting tourist destination noted for the wealth of history that houses in different cities, can visit to Athens, the capital, and other cities like Corfu, Delphi, Crete, Macedonia, Mykonos, Rhodes and more. Greek cuisine is based on vegetables, olive oil, fish and lamb. There are some variations according to whether it is the mainland or islands of Greece, but the differences are subtle. Rent a car in Greece is a different alternative to navigate through the different cities, allowing greater comfort and safety when traveling, plus you drive at your own pace and you get rid of the crowds and traffic of public transport. These agencies can be found in the most popular areas of cities such as stations, terminals and stops.